With more than 500 million active daily users, Instagram is one of the biggest social networking platforms. People and brands are constantly using this application to reach out to a larger audience and gain popularity. Simply put, the more followers you have, the more popular you are. Though good and engaging content is the key to gain followers on Instagram, they take some time to come by. It doesn’t matter whether you own an iPhone or an Android; you can always make use of apps to help increase Instagram followers quickly and put you on the map. Remember though, increasing followers through bots isn’t a great idea, simply because you need real human eyes to see and appreciate what you’re doing. 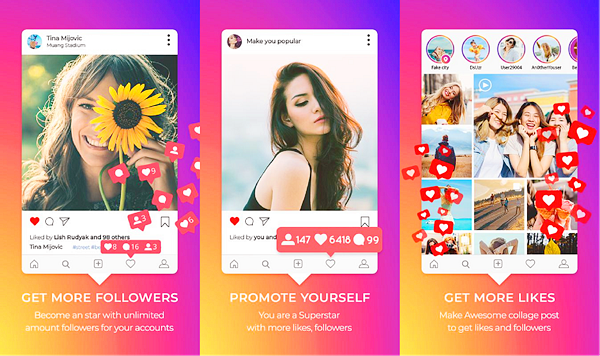 Here are 12 free Instagram followers apps for Android and iPhone that’ll help you gain free Instagram followers fairly quick. 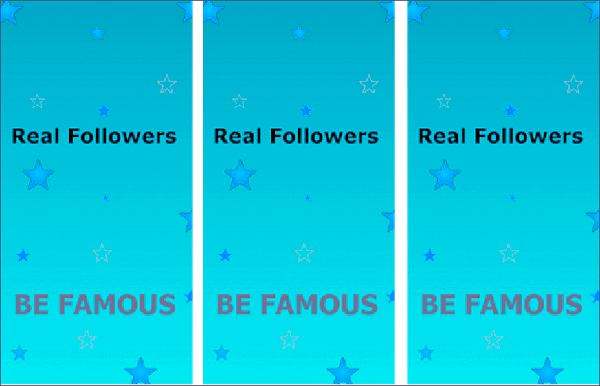 Followers+ is one of the most downloaded apps for getting followers on Instagram. Find out the most trending hashtags on the community to add to your posts. Apart from that, you can also repost the content you like as well as download the data that you’d want to use some other day. It gives you the ability to interact with your audience while staying relevant on the platform. Thus, it helps you craft your profile appealingly, helping you multiply your free Instagram followers. 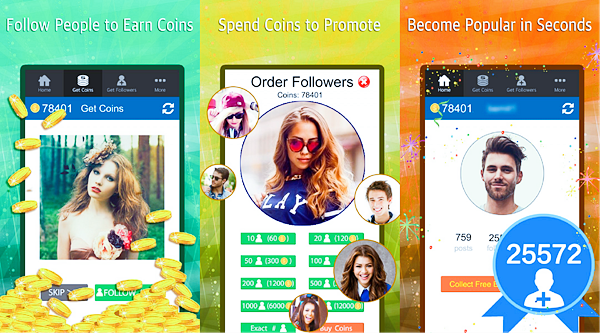 Get Followers is an app that helps you get more Instagram followers by earning coins through simple tasks. The app puts some coins into your account as soon as you download it. After that, it asks you to follow certain accounts on Instagram. The app credits coins into your account for every profile that you follow. You can then use these coins to get followers on Instagram. The app is very easy to use and has a user-friendly interface which caters to your every need. 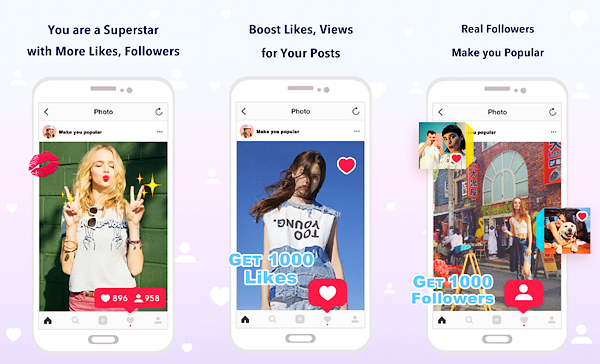 Fame Boom is a free Instagram followers app for Android that helps you gain followers by giving you tips on how to trend on the app. Fame Boom filters out the most popular hashtags of a given period of time and asks its users to generate their content around it. The posts can, therefore, be crafted around the provided keywords and make your content more engaging for the audience. This leads to an increase in the number of both followers and likes. 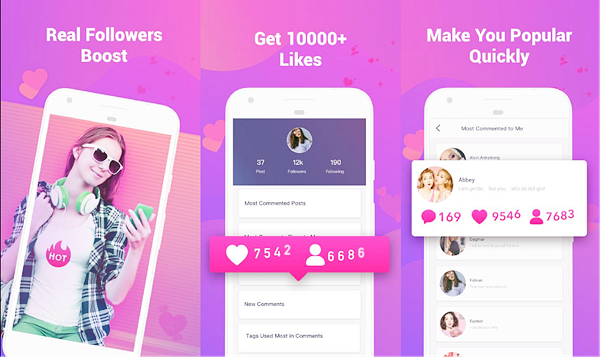 One of the most popular app to get free followers on Instagram, Turbo Followers trades your likes for followers. All you have to do is use the app to like a certain number and types of Instagram posts every day. The app will then credit points into your account which can be further used to gain followers for your Instagram profile. Therefore, you’d be able to get genuine followers for your account. The app is very intuitive and works smoothly on both Android and iOS phones. The best way to reach a good audience on Instagram is to use the right hashtags with every picture you upload. HashtagsMix’s plan is to make sure you do the same. The app brings out the most buzzing hashtags around you so that your content can feature them and become more relatable to the audience. Apart from that, the app also gives out tips on how to make your Instagram profile a lot more appealing and interactive for its followers. This way, you gain more credible followers that stay with you for a long time. Followers Pumper is an Android Instagram followers app that makes use of everyday trending hashtags to enhance your current content. The better your hashtags, the more visible is your content on the platform. Thus, it is easily able to generate likes and followers for every post you put up. The app also gives you an insight on how to use the trending hashtags in the most effective way possible so that not only is your content visible but also relevant to your audience. 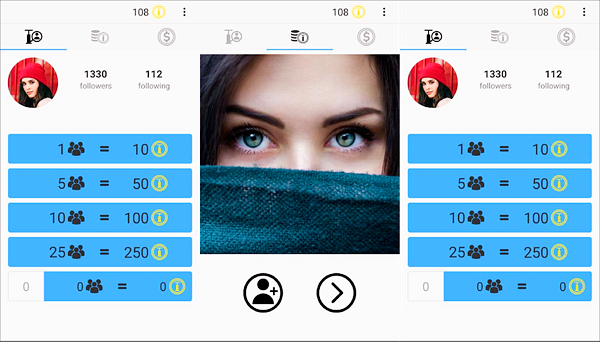 Followers for Instagram also has a coin-based system to earn the followers for your Instagram profile. You can gain a certain number of followers by liking posts or following a set of accounts on the social media app. But the biggest benefit of using Followers for Instagram is that it keeps a track of every post you put up. 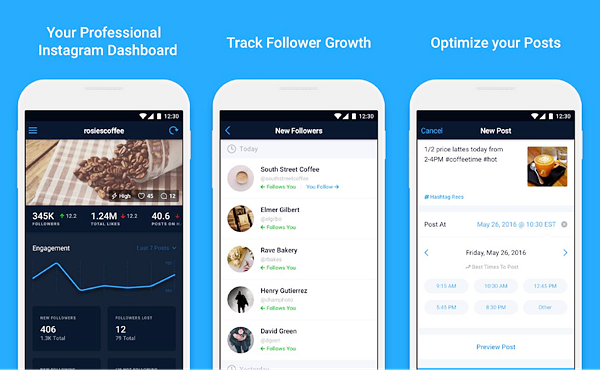 The app helps you manage the Analytics of your account by keeping a track of the kind of posts that are being liked the most and the people who are following you. This way, you can craft your content more efficiently to reach a wider audience. 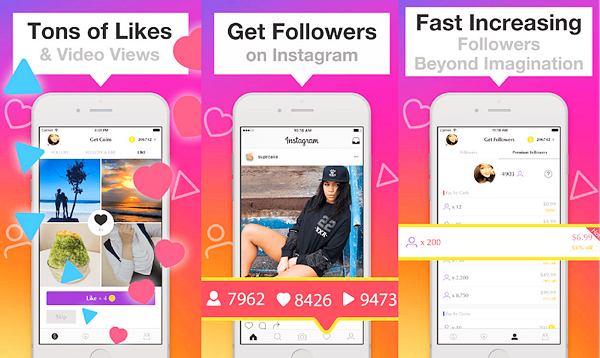 Get Followers & Get Likes is a free Instagram followers app that helps you gain followers by monitoring your account. 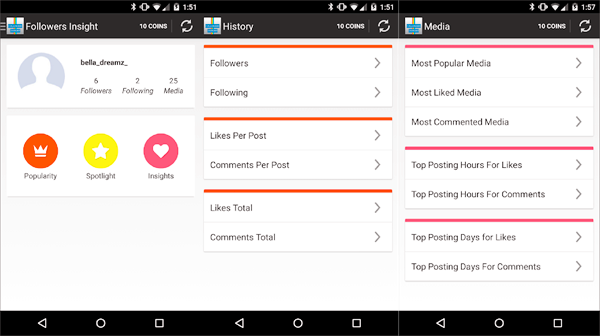 The app keeps an analytic report of your profile tracking the likes and comment you’re getting on every picture. This way, you can see what works the most and plan your posts around it. The user interface is also quite easy to use making this a popular app to gain followers on Instagram. There are a lot of inactive and ghost profiles on Instagram which happen to follow your handle. Though they increase the numbers, they don’t add any value to your profile as these followers don’t give enough likes and comments on your posts. Followers Insight, therefore, keeps a track of all these profiles so that you can filter them out. It gives you an insight into the kind of audience you’re attracting and the content they’re interested in. Hence, you can craft the content for the right people and gain more followers. 1000+ followers for Instagram can help you gain a lot of followers for your Instagram handle instantly. It classifies various tags for its users to use and make their Instagram posts reach a wider audience. Apart from that, you can also buy Instagram followers on this app and gain over 1000 of them almost instantly. The interface of the app is very simple to use and helps you craft a perfect post for your account as well. 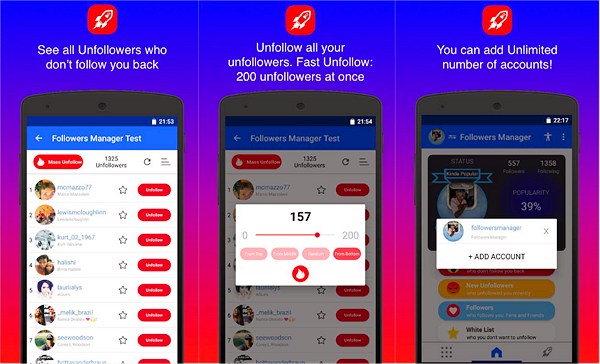 Followers Chief is a free Instagram followers app for iPhone and Android. It helps you gain followers through a set of tips that are designed to make your content more engaging for the audience. 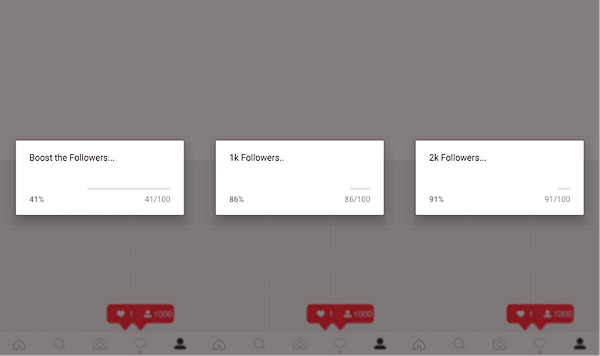 The app also keeps a track of the analytics of your account so that you can see the number of likes and comments you’re getting for every picture you upload. Apart from that, the app also unfollows ghost account and mass accounts that don’t contribute to your growth at all. 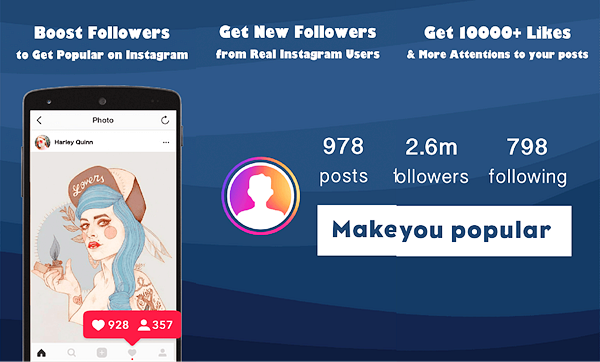 Get more followers for Instagram is an easy to use application that brings you the most popular hashtags in the community. You can use them to craft your posts better and reach out to a wider audience. The app also gives you tips to optimize your profile so that you understand the kind of posts that work best. This way, you’ll be able to engage more users with your account and keep your followers loyal to you for a longer time. Tips: Are you fed up with automatic cropping issues on Instagram or WhatsApp? Here are 5 of the best no-crop apps for Instagram that let you post full-size photos on Instagram without cropping! Which One Are You Going to Download? While there are several apps on both Play Store and the App Store that help you gain Instagram followers with a few simple steps, you need to find the right one. Don’t go for apps that promise magical results. A lot of these apps also offer tips on how to gain Instagram followers by making your profile more interactive and your content more engaging for your audience. The apps are a great method to start off your Instagram journey. Useful tips: If your favorite photos are lost or deleted by mistake, you can quickly restore them using our free Android data recovery software. It works with 3000+ Android devices and is fully compatible with Windows and Mac operating systems. Here is a simple guide on how to recover deleted photos from Android.